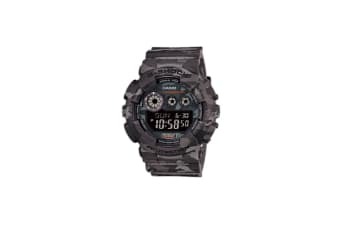 The distinct camouflage design and superior water and shock resistance truly makes this watch one of a kind for the adventurers among you. With the Casio G-Shock Special Edition Digital Watch adorning your wrist, no challenge is too great to overcome. Bold and commanding, the camouflage themed design of the Casio G-Shock Special Edition Digital Watch will keep you looking fresh through thick and thin.